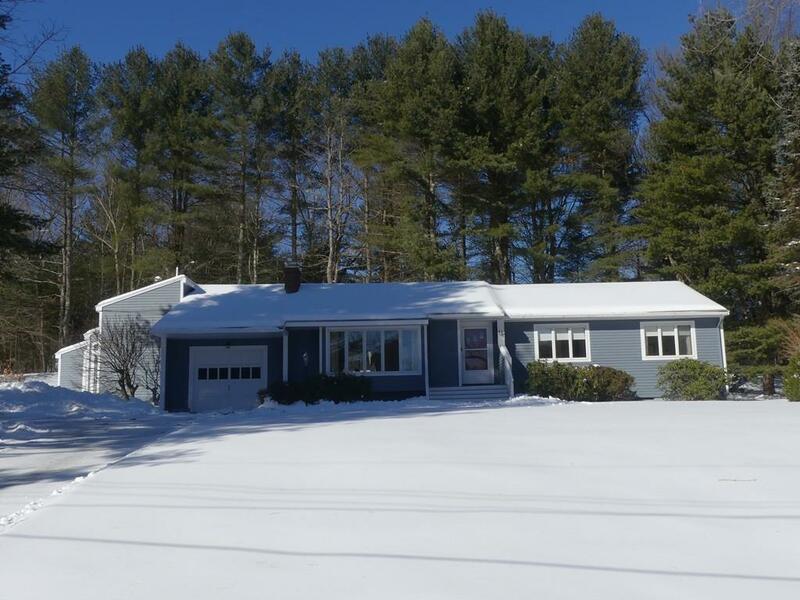 Highly desirable North Sudbury ranch is set on 3/4 acre lot on a cul-de-sac. Some notable features include Andersen Windows, light capturing bay windo in entertainment size living room, with woodburning fireplace, hardwoods, newer architectural roofing and top of the line Buderus heating system await one lucky new owner. There are three bedrooms (1 office size) all with hardwoods and a ceramic tiled bathroom in the main house. A formal dining room with hardwoods, chairail and sliders to deck. Sunny kitchen has granite counters, tile floor, nice quality cabinets, built in granite table/desk for 2, vaulted ceiling and skylight as well as door to deck. Kitchen access to the private deck and a flexible Studio/Family Room/Master Suite/Professional Home Office, wing with full bath, skylight, cathedral ceiling with wood burning stove provide a multitude of options. Direct entry garage, full basement with one finished bonus/play room add to the value of this sweet home!